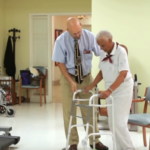 There are many possible safety pitfalls in the bathroom, especially for the elderly or those with balance issues or weakness in the limbs. Getting in and out of the shower, walking on wet and slippery tile, even sitting down or standing up from the toilet; all of these small tasks that many of us take for granted can be hazardous, leading to bumps, falls and possible injury. Whether you are looking for strategies to create a safe bathroom environment for yourself or you want to help protect a loved one, here are some ways to make sure the bathroom is welcoming and safe for every activity that goes on there. As we move around the room we will talk about safeguarding various activities in each area with this baker’s dozen list of ideas. The most basic of safety measures is the grab bar. Towel racks can pull out of the wall and will not support an adult’s weight. The sink and countertop can be slippery when wet making it treacherous to try to support yourself on it when moving around the room. A grab bar is the ideal solution. There are two main types of grab bar. 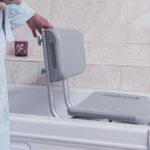 The first type is rated for body weight leverage like the adjustable clamp-on tub rail which you can attach on the rim of the bathtub to aid in getting into and out of the tub. A non-slip handle, 300-pound weight capacity, and adjustable height means it will accommodate just about anyone. It fits most tubs and comes with rubber pads so it will not damage the fixtures. The second kind of grab bar attaches with suction cups and is meant for balance assistance. 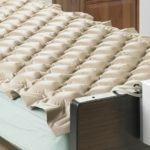 It cannot handle body weight, but can help you keep your balance when moving around the room or stepping into and out of the bathtub. Transfer benches allow you to sit to get into and out of the bathtub. One side of the bench has legs in the bath, the other side has legs on the bathroom floor. 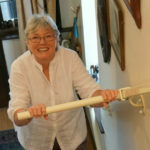 Instead of your having to balance on one leg as you step high over the side of the tub, you simply sit and slide, swinging your legs over the side from a safely seated position. From there it is easy to lower into the bath with no fear of falls. The two options for transfer benches are sliding seat benches which have a seat that slides on rails for those with impaired strength or mobility, and stationary seat benches for those with more mobility who can maneuver themselves along the bench. Any high-sided bathtub can limit access. Installing either a bathtub with a hinged door or a low-threshold shower can help with aging in place. Just remember that the tile can get slippery, and glass shower doors, in particular, are a safety hazard for those with impaired balance. 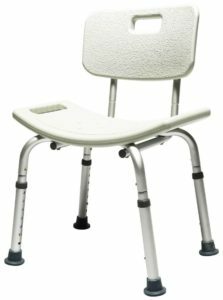 One way to help maintain independence for seniors is to add a shower/bath chair to their setup. Standing while showering can get tiring and balance can become tenuous, especially when you close your eyes to rinse the soap off your face or out of your hair. Options for a shower bench include those with backs and/or arms and those without, as well as with or without wheels. Styles vary so you can find one that fits your space and your needs so you can extend your ability to live on your own. Being able to move the shower head around while you bathe, instead of having to move yourself around, can make bathing that much easier. Installing a handheld shower head may be all you need to stay independent – or you may decide to add one to the resources listed above to make your bathing experience as safe as possible. 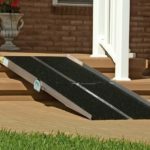 For those with severe mobility impairment, a bathtub lift to get in and out of the tub can be a life-changing installation. This chair allows you to sit on a stable surface while lowering yourself into the tub. Whether you choose to fill the bath or use a handheld shower, the ease of bathing on your own with a lift will make aging in place significantly easier. If your toilet is situated next to the bathtub, then your bath grab bar can serve a dual purpose. 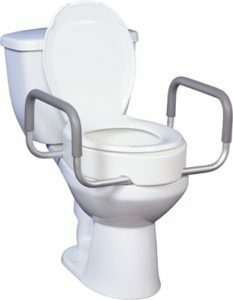 You can use it to assist in lowering yourself onto the toilet seat, and raising yourself up again. If, however, your toilet is not located near a place to attach a handrail, you can still get assistance sitting and standing. A security pole & grab bar is a tension-mounted bar that spans from the floor to the ceiling that can support body weight. It fits ceiling from 7 feet to 10 feet high and installs without mounts. Sometimes a little help is all you need to stand up from a seated position. A raised toilet seat can add several inches to the height of the seat, making it just that much easier to stand. If you need more help, then our idea number 9 can work with the toilet seat to give you even more peace of mind. For a little more help, you can opt for adjustable toilet arms to give you the added balance and lift you need to stay independent. Combine with the raised toilet seat in number 8 for more support and safety. Tile floors get slippery when they are wet. 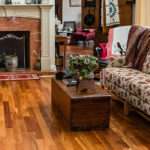 Invest in a few non-skid mats or throw rugs to make sure you never have to negotiate a slick floor. Turn the water heater temperature down to 120 degrees to avoid scalding your skin. This temperature is hot enough to have a warm, luxurious shower without the fear that you’ll get burned. Seeing your way safely means navigating safely. Install bright lights in the bathroom, but don’t forget to add some accent lighting along the hallway floor. Now you can get from your bedroom to the bathroom safely even on the darkest night. Small items can drop and roll, causing trip and slip hazards when they get caught underfoot. Reaching for a hand hold only to find it hidden by clutter can cause accidents. Make sure your bathroom is clutter-free by utilizing drawers and cabinets. Baskets and bins can help organize your toiletries for easy access and safety. You deserve a safe and peaceful start to your morning and end to your day. Making sure your bathroom is safe and accessible will keep you not only clean and fresh, but living independently and loving it. We offer low price guarantee and free shipping on everything! 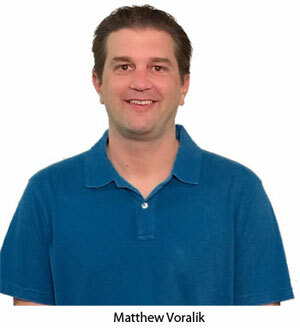 Matthew Voralik grew up working in the brick and mortar store after school and during the summers. When most boys his age were playing video games, he was assembling wheelchairs and hospital beds and showing people how to use all the things they sold in his dad’s store. 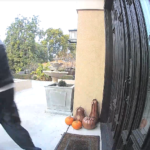 Today he does the same thing for his online customers. 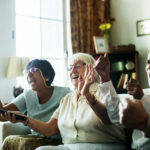 This also makes America Discount Home Medical uniquely qualified to select and recommend the best products for our customers. 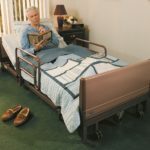 Hospital Bed Buyer’s Guide – Which Is Best? “Thank you for your help and great prices! You will be getting all of my business. Copyright 2018 American Discount Home Medical. All Rights Reserved.